You'll find all kinds of local news, aviation industry news and member updates on our news page. You can also view our Northern Spirit Chapter Newsletters on our newsletters page. Check in to see the latest and greatest news! Congratulations to our two very deserving Spirit of Aviation Scholarship winners: Annie Aguirre and Jennifer Zadorozniak. They have each won a Conference Package to attend the 2018 Women in Aviation International Conference in Reno Nevada. They will have the opportunity to network, learn and be inspired by leaders in the field of aviation. This conference is so much more than a trip and seminars; it's a motivating force, fueled by thousands of women with common aspirations and dreams. Read further down for the links to the amazing seminars, workshops and guest speakers lined up for this year's conference. We can't wait to hear all about their experience! The WAI Pioneer Hall of Fame was established in 1992 to honor women who have made significant contributions as record setters, pioneers, or innovators. Congratulations to the 2018 Inductees: Bonnie Tiburzi Caputo, Kathleen Fox, and Brigadier General Linda K. McTague. Congratulations to our Canadian inductee Kathy Fox! Hollywood - catch up if you can! 99% of the pilots portrayed in the movies are men and EasyJet's recreates one of Hollywood's timeless aviation moments to promote their target of reaching 20% of their cadets to be women by 2020. Must see! ​EasyJet captain Emily Revie, whose nine-year-old daughter Hannah stars as the pilot, said: 'When I was at school, being a pilot was definitely considered a career for the boys and I was told to think about what else I could do as a job. 'This misconception isn't helped by Hollywood producers who have a habit of always putting male actors in the cockpit. 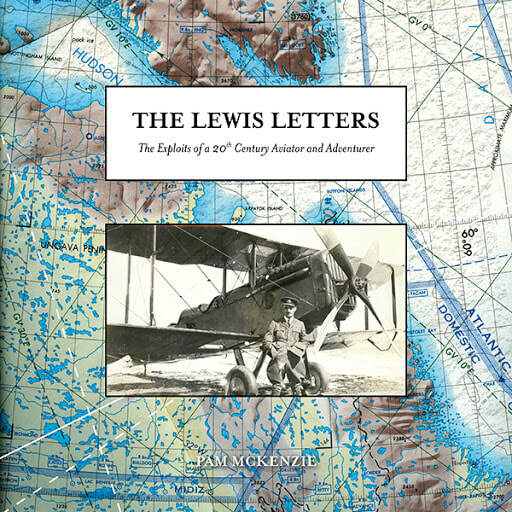 We are so proud of our very own Pam McKenzie on the launch of her new book, The Lewis Letters: The Exploits of a 20th Century Aviator and Adventurer. Pam is the Head of Library & Archives at the Royal Aviation Museum of Western Canada and an avid supporter of WAI and the 99s. Drop by the museum sometime and say Hi! Congratulations to Tanya Cole who completed her 737NG Type Rating in Florida! Thanks to ISA+21 and Women in Aviation International for this great opportunity! Be sure to apply for WAI scholarships each year, you never know, you could be a winner like Tanya! The impending pilot shortage that has been looming for two decades is real, and it's finally here. Pilot hiring came to a halt after 9/11 when some airlines went bankrupt, some merged and some airlines downsized. The result was that there was a surplus of pilots. Then the FAA raised the mandatory retirement age for pilots from 60 to 65, allowing Canadian airline pilots access to fly into the USA up to the age of 65. This gave the industry another 5 year hiring delay as many pilots delayed their retirement. Then there was the US financial crisis of 2007-08 which had a global economic effect - people couldn't afford to travel and airlines downsized once again. All of this culminates as the economy is recovering, airlines are growing and hundreds of pilots are forecasted to retire each year for the foreseable future. Just the other day, the CBC posted an article Who's going to fly the plane? Pilot shortage could get worse for regional carriers. New federal rules around pilot fatigue could increase problem... the data is staggering. There has been no shortage of news lately extolling the opportunities for new pilots coming up the ranks. Australia is relaxing visa laws to attract foreign pilots (The Guardian), Horizon - Alaska Airlines Regional Carrier has been cancelling flights due to their pilot shortage (Business Insider), and although the number of newly licenced commercial pilots in Canada has stayed the steady over the past 15 years, the number of licences issued to foreigners who typically seek work outside of Canada has increased dramatically providing a reduced number of new commercial pilots into the Canadian pilot pool (Skies Magazine). So what does this mean for millennials? It means that there is a great opportunity to become an airline pilot in short order. The catch? Pilot training costs have never been higher and pilot wages aren't keeping up. There is a movement however to increase pilot wages, improve schedules (lifestyle) and working conditions. The new fatigue rules are a good place to start in making working conditions better. For those who are driven and have a passion for aviation, the future looks bright! 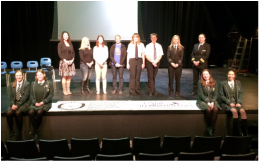 Katrina Maksymyk and Robin Jacuzzi, both Balmoral Hall Alumni, along with WAI members Dr Jill Oakes, Kristin Long, Jessica Biggs, Kelly Koprajda and two Nav Canada controllers hosted an aviation career presentation for 100 students on February 1st. Balmoral Hall is a STEM (science, technology, engineering and mathematics) focused all-girls school. Kristin Long attended a special Career Night with the Brownies along with a heavy equipment operator and Chrissy Troy from HOT103. 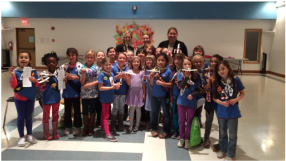 The girls were introduced to non-traditional careers options for women and encouraged them that they can be anything they want to be!